Every year, gamers line up at their favorite game retailers to grab a copy of the games that they love. And every year, it seems, those same gamers don’t waiver in their resolve to get the next installment of that series. Whether your gaming addiction is Halo or the Arkham series of Batman games, there is always something that we look forward to. That’s how companies keep us pre-ordering, and that’s how they keep us coming back for more year after year. But it’s that loyalty and devotion to a particular title or series or publisher that drives the industry. It’s what keeps the sales numbers climbing. 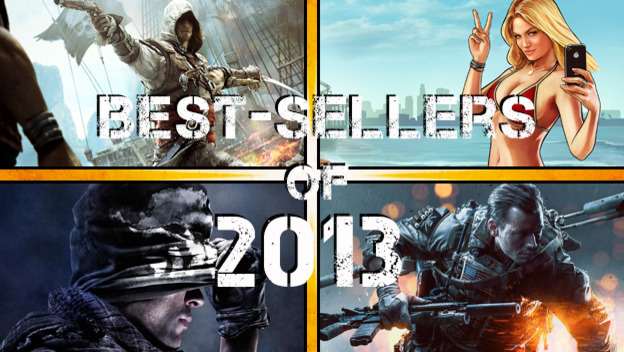 So even though we have our favorites for the year, we decided to take a quick look back at the best-selling titles of 2013 (worldwide)–as of November 9th.